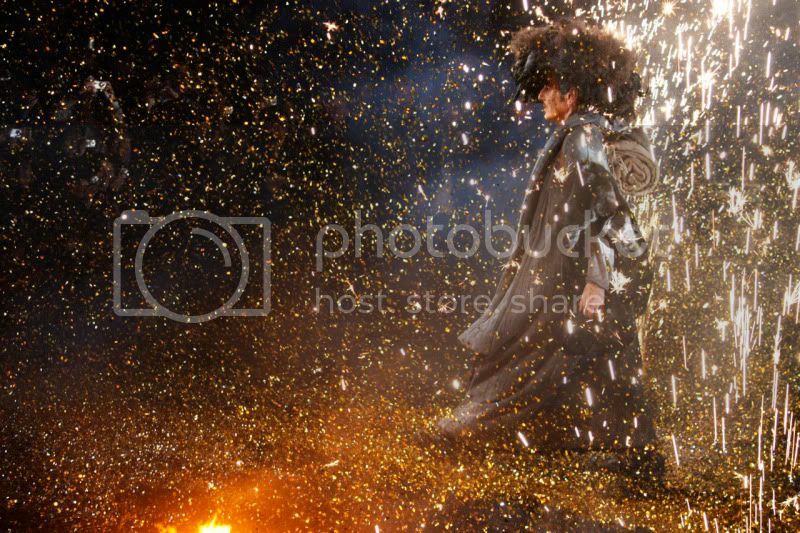 Galliano show, I `ve known his shows for always, but when it`s real, you just smile. You feel not disappointed of what you see on TV or in Style.com, I loved it John! at the end of the show, incredible. dream with all those beautiful dresses and big defined hairdos. PS: oui oui, I took the photo! The picture is perfect! So beautiful and flawless. Great job! This is amazing! What a moment! Wow great photo!! Cant believe you got backstage:)!! noo wayyyy this picture is yours!!!! you are amammmaaazzziingggg vest shot ever. I HAVE FALLEN IN LOVE WITH YOUR BLOG AND CANT GET ENOUGH OF IT I HAVE READ HAVEWAY SO STILL NEED ONE MORE DAY TO READ THE REST "L O V E"
i really enjoy ur post about paris fashion week in ur blog!! !alway love ur photos! Great photo! I can't wait to see more! Thanks so much for all your coverage of Fashion Week! I just want to say I am just beginner to weblog and truly savored you’re web site. Most likely I’m want to bookmark your website . You certainly have outstanding articles. Thanks a bunch for sharing with us your blog site. Is your webdesigner looking for a job. I think your site is great. Hey are using WordPress for your blog platform? I’m new to the blog world but I’m trying to get started and create my own. Do you require any coding expertise to make your own blog? Any help would be really appreciated! I have learned many important things via your post. I’d personally also like to state that there may be situation that you will get a loan and never need a cosigner such as a Government Student Support Loan. But when you are getting a borrowing arrangement through a regular bank then you need to be prepared to have a cosigner ready to help you. The lenders will base their very own decision using a few factors but the main one will be your credit history. There are some loan providers that will likewise look at your work history and make a decision based on that but in almost all cases it will hinge on your scores. I and also my friends came taking note of the great tips and hints on the blog and then suddenly came up with a horrible suspicion I never thanked the site owner for those secrets. These young men became for that reason glad to learn them and have in effect absolutely been using them. Many thanks for really being indeed thoughtful and for deciding on varieties of incredible topics most people are really eager to discover. Our honest apologies for not saying thanks to you earlier. Hello, i think that i noticed you visited my website thus i got here to go back the want?.I’m attempting to to find issues to enhance my website!I suppose its ok to use a few of your ideas!! Hi there, I discovered your blog by the use of Google whilst searching for a related subject, your site came up, it seems good. I’ve bookmarked it in my google bookmarks. Hi! I just wish to give you a huge thumbs up for the great information you’ve got here on this post. I’ll be coming back to your website for more soon. Hi there, I discovered your site by way of Google whilst looking for a comparable subject, your web site came up, it seems good. I’ve bookmarked it in my google bookmarks. Hi, i believe that i saw you visited my web site so i came to go back the want?.I’m attempting to in finding things to improve my site!I assume its good enough to use a few of your ideas!! Hello there, I discovered your site by way of Google whilst looking for a related topic, your web site came up, it seems to be good. I’ve bookmarked it in my google bookmarks. Hey there! I just wish to give you a huge thumbs up for your excellent information you have right here on this post. I will be coming back to your website for more soon. Howdy! I just wish to offer you a huge thumbs up for the excellent info you have right here on this post. I’ll be returning to your site for more soon. Hey there! I simply would like to give you a big thumbs up for your great info you’ve got here on this post. I will be coming back to your site for more soon. Hi there, I discovered your web site by means of Google while looking for a similar topic, your site got here up, it looks great. I’ve bookmarked it in my google bookmarks. I’m typically to blogging and i really appreciate your content. The article has really peaks my interest. I’m going to bookmark your site and hold checking for brand new information. What’s Going down i’m new to this, I stumbled upon this I’ve discovered It absolutely helpful and it has helped me out loads. I’m hoping to give a contribution & assist other customers like its helped me. Good job. I intended to compose you this very little remark just to say thank you as before for the precious secrets you’ve documented at this time. This is quite surprisingly open-handed of you to make extensively what many of us would’ve offered for sale for an e-book to get some dough for themselves, primarily now that you might well have tried it if you ever desired. Those basics additionally worked like a good way to fully grasp other individuals have the identical desire just like my personal own to see somewhat more on the topic of this issue. I am sure there are millions of more enjoyable occasions ahead for people who go through your blog post. Whats up very cool web site!! Man .. Excellent .. Superb .. I will bookmark your blog and take the feeds additionally¡KI’m satisfied to search out so many useful info here within the publish, we want work out extra strategies in this regard, thank you for sharing. . . . . .
Hmm it seems like your website ate my first comment (it was super long) so I guess I’ll just sum it up what I submitted and say, I’m thoroughly enjoying your blog. I as well am an aspiring blog writer but I’m still new to the whole thing. Do you have any tips for inexperienced blog writers? I’d really appreciate it. Hi, i think that i saw you visited my website so i came to return the favor?.I am attempting to in finding things to enhance my web site!I suppose its ok to make use of some of your concepts!! Hello, i think that i noticed you visited my web site so i came to go back the choose?.I am attempting to in finding things to improve my site!I guess its ok to make use of some of your ideas!! Very good blog! Do you have any tips and hints for aspiring writers? I’m hoping to start my own website soon but I’m a little lost on everything. Would you propose starting with a free platform like WordPress or go for a paid option? There are so many choices out there that I’m totally confused .. Any ideas? Thanks a lot! I’m curious to find out what blog system you have been working with? I’m having some minor security problems with my latest site and I would like to find something more safe. Do you have any solutions? Having read this I believed it was rather informative. I appreciate you spending some time and energy to put this short article together. I once again find myself personally spending a lot of time both reading and leaving comments. But so what, it was still worth it! My husband and i got quite ecstatic Raymond managed to finish off his investigations from your ideas he was given in your web pages. It is now and again perplexing just to choose to be giving freely tips and tricks that many some people might have been selling. And we recognize we now have the writer to give thanks to because of that. The type of explanations you made, the straightforward web site navigation, the relationships your site aid to engender – it is everything remarkable, and it’s really leading our son and us recognize that the subject matter is thrilling, and that is highly vital. Thanks for all the pieces! After looking into a handful of the blog posts on your blog, I truly like your technique of writing a blog. I saved as a favorite it to my bookmark website list and will be checking back in the near future. Please visit my web site as well and tell me how you feel. Howdy very cool blog!! Man .. Excellent .. Superb .. I will bookmark your web site and take the feeds also…I am happy to seek out a lot of useful info here in the put up, we need work out more techniques on this regard, thank you for sharing. . . . . . Awesome blog! Do you have any hints for aspiring writers? I’m planning to start my own site soon but I’m a little lost on everything. Would you propose starting with a free platform like WordPress or go for a paid option? There are so many options out there that I’m totally confused .. Any tips? Thanks! Awesome blog! Do you have any suggestions for aspiring writers? I’m planning to start my own blog soon but I’m a little lost on everything. Would you suggest starting with a free platform like WordPress or go for a paid option? There are so many choices out there that I’m totally confused .. Any ideas? Thanks a lot! Superb blog! Do you have any hints for aspiring writers? I’m hoping to start my own blog soon but I’m a little lost on everything. Would you advise starting with a free platform like WordPress or go for a paid option? There are so many options out there that I’m completely confused .. Any ideas? Appreciate it! Hello! I just want to give you a huge thumbs up for the excellent info you’ve got here on this post. I am coming back to your site for more soon. Hi there, I found your blog by the use of Google at the same time as searching for a comparable matter, your web site got here up, it seems to be good. I’ve bookmarked it in my google bookmarks. Amazing blog! Do you have any helpful hints for aspiring writers? I’m planning to start my own site soon but I’m a little lost on everything. Would you propose starting with a free platform like WordPress or go for a paid option? There are so many choices out there that I’m completely confused .. Any recommendations? Kudos! Somebody necessarily lend a hand to make seriously posts I would state. That is the very first time I frequented your web page and to this point? I surprised with the research you made to make this particular post amazing. Excellent task! Somebody essentially help to make significantly articles I might state. That is the first time I frequented your web page and up to now? I amazed with the research you made to create this particular submit extraordinary. Great job! Somebody essentially lend a hand to make seriously posts I would state. This is the first time I frequented your web page and to this point? I amazed with the analysis you made to make this actual post amazing. Excellent activity! A person essentially help to make critically articles I would state. That is the first time I frequented your web page and to this point? I amazed with the analysis you made to create this actual post amazing. Excellent job! Wow, superb blog structure! How long have you ever been running a blog for? you made running a blog look easy. The total glance of your web site is great, let alone the content! you’re in point of fact a just right webmaster. The web site loading speed is amazing. It kind of feels that you are doing any unique trick. Also, The contents are masterpiece. you have performed a fantastic task in this matter! Attractive component to content. I simply stumbled upon your web site and in accession capital to assert that I get actually loved account your blog posts. Anyway I’ll be subscribing on your augment and even I fulfillment you get right of entry to constantly rapidly. Attractive section of content. I simply stumbled upon your website and in accession capital to assert that I get actually loved account your weblog posts. Any way I’ll be subscribing on your augment and even I success you get right of entry to constantly fast. Attractive component of content. I simply stumbled upon your website and in accession capital to assert that I acquire in fact loved account your blog posts. Anyway I will be subscribing on your augment or even I success you get admission to constantly quickly. I’m impressed, I need to say. Really hardly ever do I encounter a weblog that’s both educative and entertaining, and let me tell you, you might have hit the nail on the head. Your thought is excellent; the difficulty is something that not sufficient persons are speaking intelligently about. I am very happy that I stumbled across this in my seek for something regarding this. you are in reality a good webmaster. The web site loading pace is amazing. It kind of feels that you are doing any distinctive trick. In addition, The contents are masterwork. you’ve done a magnificent process in this matter! You really make it appear really easy together with your presentation but I in finding this matter to be really something which I think I might never understand. It seems too complicated and extremely large for me. I’m taking a look forward in your next publish, I’ll attempt to get the hold of it! An outstanding share! I have just forwarded this onto a colleague who was doing a little homework on this. And he actually ordered me dinner simply because I discovered it for him… lol. So allow me to reword this…. Thanks for the meal!! But yeah, thanks for spending the time to talk about this subject here on your internet site. You really make it appear really easy with your presentation but I to find this matter to be really something that I believe I’d by no means understand. It sort of feels too complicated and extremely extensive for me. I am having a look forward in your next publish, I will attempt to get the dangle of it! You really make it seem really easy with your presentation but I in finding this matter to be really one thing which I believe I’d by no means understand. It kind of feels too complicated and very broad for me. I’m looking forward in your subsequent put up, I will try to get the cling of it! Simply wish to say your article is as astonishing. The clearness to your put up is simply nice and that i could assume you are an expert on this subject. Well along with your permission let me to clutch your feed to keep up to date with imminent post. Thank you a million and please continue the rewarding work. Hi there! Someone in my Myspace group shared this website with us so I came to take a look. I’m definitely loving the information. I’m bookmarking and will be tweeting this to my followers! Superb blog and brilliant design and style. Hi there, I discovered your website by the use of Google while searching for a related subject, your web site came up, it appears to be like good. I have bookmarked it in my google bookmarks. You really make it appear really easy together with your presentation however I find this matter to be actually one thing which I think I would by no means understand. It sort of feels too complex and very vast for me. I’m having a look forward on your subsequent put up, I will attempt to get the dangle of it! I just like the valuable info you provide on your articles. I will bookmark your blog and test again right here frequently. I’m slightly sure I’ll learn many new stuff right right here! Good luck for the following! I just like the helpful info you provide on your articles. I’ll bookmark your weblog and test once more here regularly. I’m slightly sure I will be informed many new stuff right right here! Best of luck for the following! I just like the valuable info you provide on your articles. I will bookmark your weblog and test once more right here frequently. I’m reasonably certain I will learn many new stuff proper here! Good luck for the following! Do you mind if I quote a couple of your articles as long as I provide credit and sources back to your weblog? My website is in the exact same area of interest as yours and my visitors would really benefit from some of the information you provide here. Please let me know if this alright with you. Thank you! Please let me know if you’re looking for a author for your blog. You have some really good articles and I think I would be a good asset. If you ever want to take some of the load off, I’d really like to write some material for your blog in exchange for a link back to mine. Please shoot me an e-mail if interested. Thank you! I just like the valuable info you supply to your articles. I’ll bookmark your weblog and check once more here regularly. I am somewhat sure I’ll be informed plenty of new stuff right here! Good luck for the next! Do you mind if I quote a few of your articles as long as I provide credit and sources back to your blog? My website is in the very same area of interest as yours and my users would certainly benefit from a lot of the information you present here. Please let me know if this alright with you. Regards! Do you mind if I quote a couple of your articles as long as I provide credit and sources back to your blog? My blog is in the very same area of interest as yours and my users would truly benefit from some of the information you present here. Please let me know if this okay with you. Regards! Do you mind if I quote a few of your articles as long as I provide credit and sources back to your webpage? My website is in the exact same niche as yours and my visitors would really benefit from a lot of the information you provide here. Please let me know if this alright with you. Appreciate it!